"The single biggest driver of business impact is the strength of an organization's learning culture,” said Josh Bersin of Bersin by Deloitte. Every organization has a culture, but is your corporate culture the kind that will thrive in today’s disruptive, fast paced business climate? As businesses continue to rapidly evolve, employees and customers have more and more choices. Customers are looking for service experiences that wow! Employees are choosing roles that give them flexibility and growth. Companies all over the globe are shifting their approach, becoming more service oriented and offering development opportunities to engage their employees. In the meantime, job roles and technology are also changing. People need and want to learn. All the signs are there – learning is the new currency. And, companies that want to keep up need to make learning part of the fabric of their cultures. Before we can delve into building a culture of learning, we need to understand what culture actually is. Culture is defined as a set of values, conventions, beliefs, practices, and goals relative to the current and appropriate environment and society. Culture in its broadest sense is explicit and implicit patterns of learned behavior. Another way to look at culture is simply: a way of life of a group of people. A “culture” within a company is no different. It too centers around values and beliefs, but also involves employee and customer empowerment. Similarly, a learning culture is one where the values, conventions, beliefs, practices, and goals are centered around training, education, and advancement. Make no mistake – this focus on learning and development isn’t only beneficial to a company’s employees. Your customers and partners can also reap the rewards of a learning-focused culture. Building a high-impact learning-focused culture can result in many positive outcomes for your business as a whole. Positive impact on bottom-line - Human Sigma is a new Six Sigma focus designed to improve employee-customer interactions. iSixsigma has a great article that explains the Human Sigma approach. 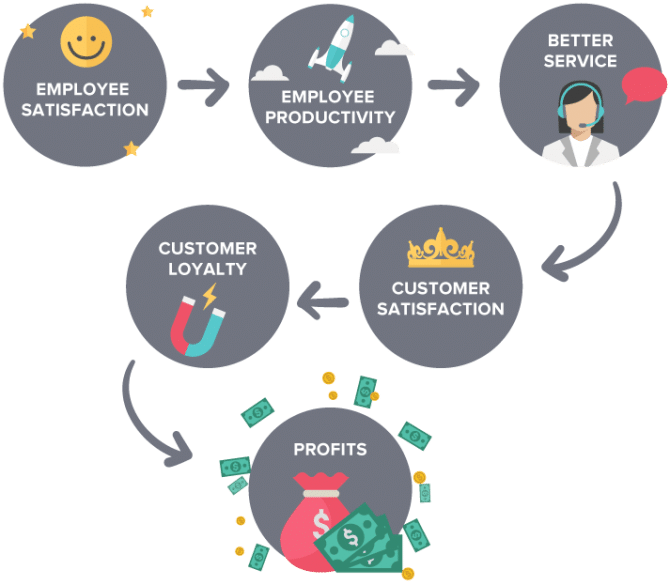 It's estimated that businesses can increase the revenue and profitability potential of every customer by more than 20 percent -- by simply satisfying employees. Not surprisingly, training has been shown to impact employee satisfaction, as can be seen by results of a recent survey conducted by West UC. 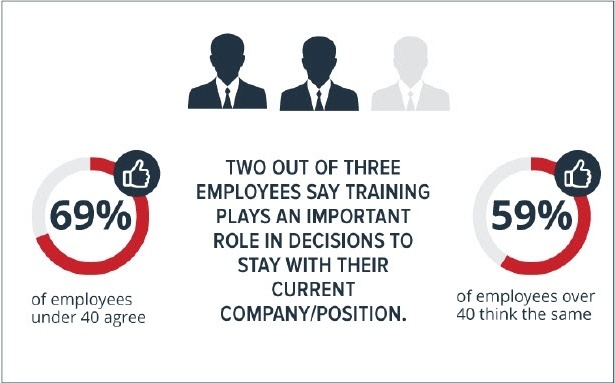 In the survey, two out of three employees said training opportunities are an important factor in their decision to stay with their current company. So, it's not hard to see how training can yield increased profits. Improved Employee Engagement – Access to training has been proven to improve employee engagement as it supports workers desire for career growth and development. Engaged employees also have an increased level of productivity. In fact, highly-engaged employees are 38% more likely to have above-average productivity. They think carefully about how they’re doing their work, leading to continually improved processes and increased efficiency. Customer Loyalty – When customers are engaged and satisfied they are more likely to become loyal customers. 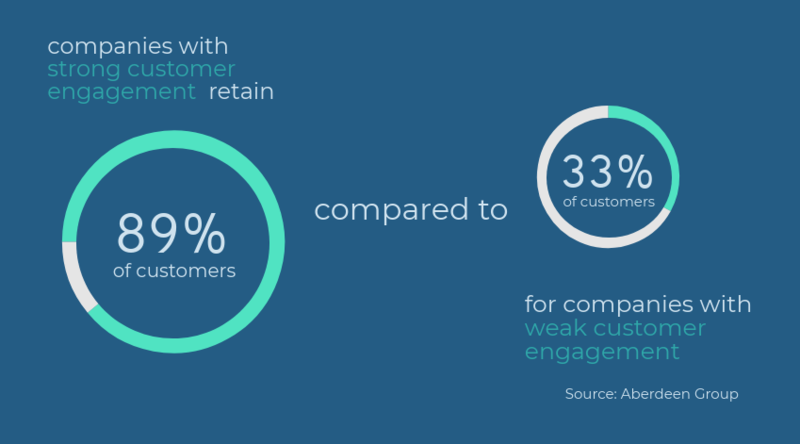 Providing opportunities for customers to learn is one way to increase engagement – and ultimately drive customer loyalty. In today’s self-service world, providing an on-demand online training experience is one way to provide additional value and take the customer experience to the next level. Many companies use online tools like Learning Management Systems as a way to give customers real-time access to learning materials. Competitive Advantage - Companies that focus on employee and customer engagement stand out in a world where companies have to fight to retain workers and customers alike. A recent Dale Carnegie survey found that companies with engaged employees outperform those with low employee engagement by up to 202%. 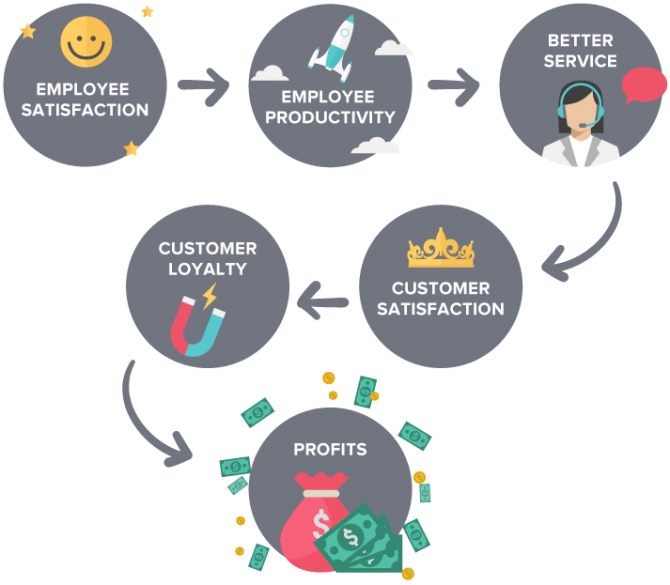 On the other hand, organizations with strong customer engagement strategies retain an average of 89% of their customers, as compared to 33% for companies with weak strategies according to Aberdeen Group Inc.
To further demonstrate the point, check out this graphic that Customer Thermometer shared showing how employee satisfaction can lead to profit. Creating a business culture that prioritizes learning and is also endorsed by management cultivates a positive environment for all. Additionally, instituting a culture of learning can foster employee engagement and empower customers. Josh Bersin has done an in-depth study on the effects of a corporate culture with a focus on advancement and development. The study published the chart below, which shows a variety of benefits and positive outcomes. Now that you’re convinced that building a culture of learning is where it’s at, here are a few things to think about as you take on the task. Make a learning a company priority and ensure that leadership and management is not only on-board, but promoters of learning. Establish and share widely the purpose behind building of a culture of learning. Define a tone and set of culturally-appropriate values and standards. Ensure information and content is accessible and shared openly. Celebrate the value of learning from failures and mistakes. Create an environment of trust in which employees stay curious, engaged, empowered, and excited to achieve job success. Empower employees by offering time and resources to learn on-demand. Insist that learning be a reflex, habit, and natural process. Focus on the needs of customers, employees and other stakeholders and craft learning opportunities to meet them. Create structured and social learning opportunities. Creating a learning culture is a win-win for the business itself as well as the customers, partners, employees and stakeholders that make up the company’s ecosystem. Learning-focused organizations that do the work to build a conducive environment for learning as well as the right training to enable its base will thrive.